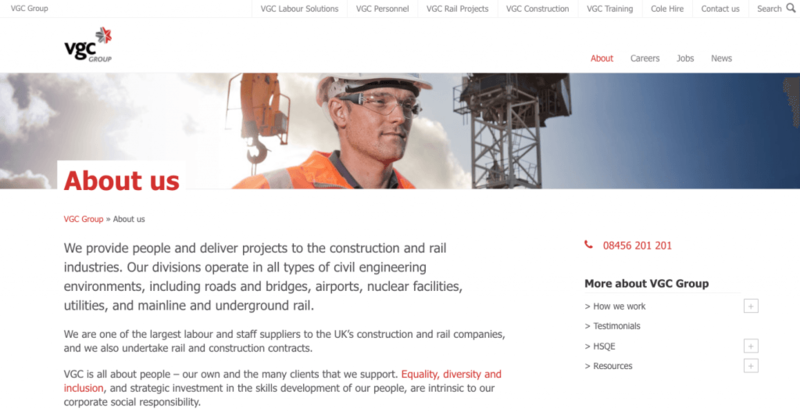 VGC Group are a long time client of Highrise Digital. We originally designed and developed them a WordPress website. Here is how we did it. From the first meeting it was clear that [Keith – Highrise Digital] wanted to understand our wider business and marketing goals to ensure that the project delivered the very maximum value. 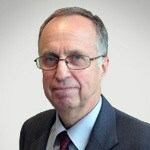 His project management, design and web development abilities (have) already begun to give wider value to our business. 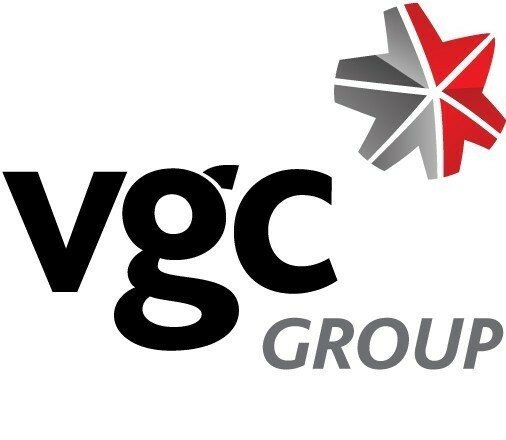 “Outperformance” is the VGC Group motto, and they achieve this across their many business divisions. However, one area that was under performing was their web presence. They approached us to design and build a WordPress based website that wouldn’t just put them on a level playing field with their competitors but move them to the top. We started off with a business discovery day. We led the team through various sessions to find out what the business was about, what they stood for and what their objectives are. We interviewed key stakeholders across the business, including the head of each division. This gave us insights into how the website could be used to achieve specific business goals. We also came up with specific goals for the website. For example, we wanted to lower the current bounce rate from 77.36% down to 50%. 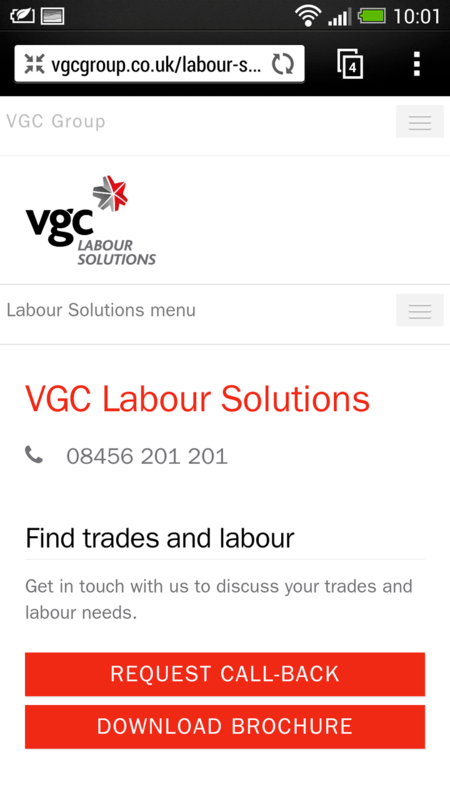 The team at VGC Group had put a lot of time into designing the site layout. They used a service called Balsamiq Mockups which allowed us to collaborate on refining the layout. We helped tweak these slightly, based on our goals and objectives until we agreed that the layout was complete and we could move onto the visual design. We took our design guidelines and distilled them into a series of style tiles. These are simple visual representations of the general “look and feel” of a site. They don’t focus on layout, but more the personality of the design. Once the visual design had been refined and agreed on, it was time for us to start the process of building the website. 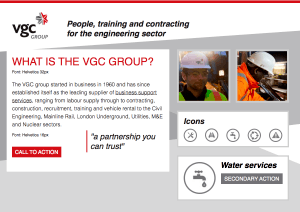 The VGC team had chosen WordPress as their preferred platform, as it gave them the flexibility and control that they needed. We implemented various custom post types so that the site content was logically separated and easy to administer. These include jobs, clients, accreditations, projects and news posts. The site is separated into six divisions and each division has it’s own banner image, contact details and child pages. We designed and built custom page templates for the contact, clients, senior team, testimonials and accreditation pages. 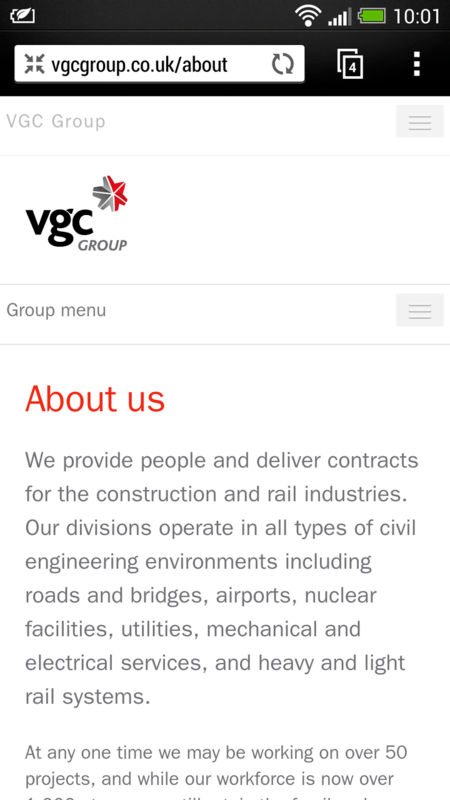 Many of VGC’s clients and colleagues are out and about when they’re accessing the site, more than 30% are on mobile devices. Therefore it was important for the site to work well on tablets and phones. The site is built to respond to the size of the screen and looks beautiful right down to phone screens. After launching the website the results were dramatic. At the time of writing we have a bounce rate of less than 40% (down from 77.36%). Pages per visit has improved by 146% and the average visit duration has increased by 136%. All of these metrics point to the fact that users are more engaged with the site than before. 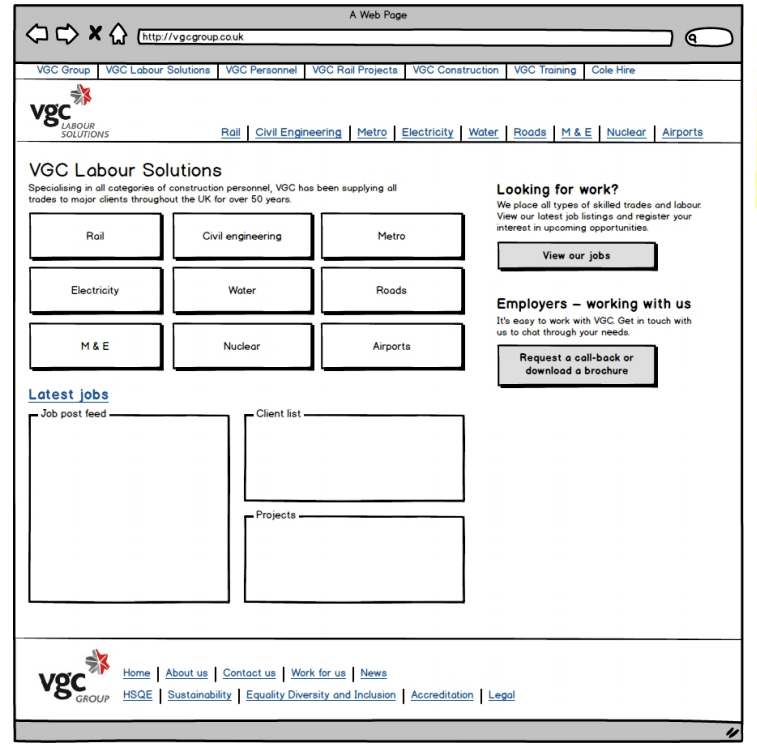 We’ve also had success with using custom contact forms that are used to apply for jobs and make general enquiries. In the video below, Zena talks about working with Highrise Digital on this project and on an ongoing basis as one of our retainer clients. If you’re looking for a website that is easy to manage, fast, and robust – then we’d love to hear from you. Please get in touch.